The rugged and remote East Branch of the Penobscot, flowing out the Jack Pine lined shored of Grand Lake Matagamon offers the serious and able whitewater paddler with one of the most rewarding runs of whitewater available in the State of Maine. 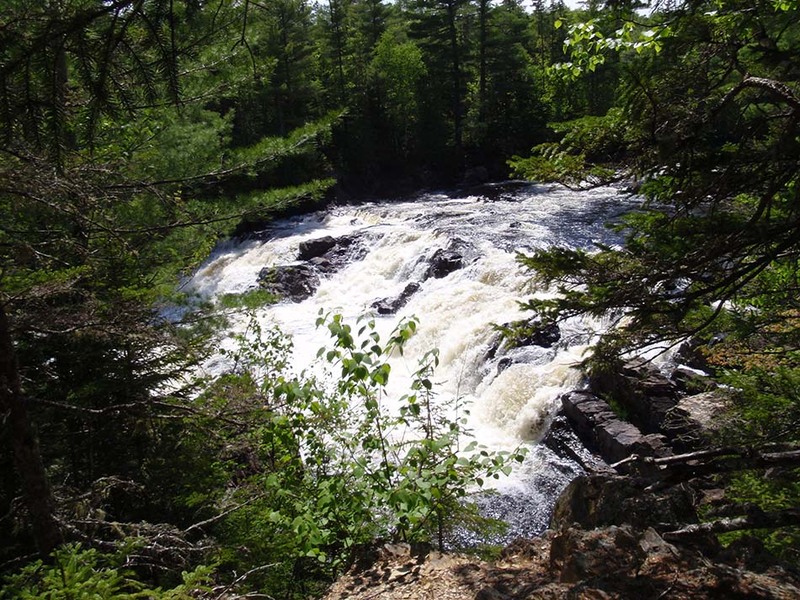 From Grand Lake Matagamon, the East Branch of the Penobscot steadily tumbles downstream and is dotted with numerous Class I-II whitewater. However, there are many areas of slackwater, allowing ample time for fishing, swimming, and floating along in the canoe with the current. 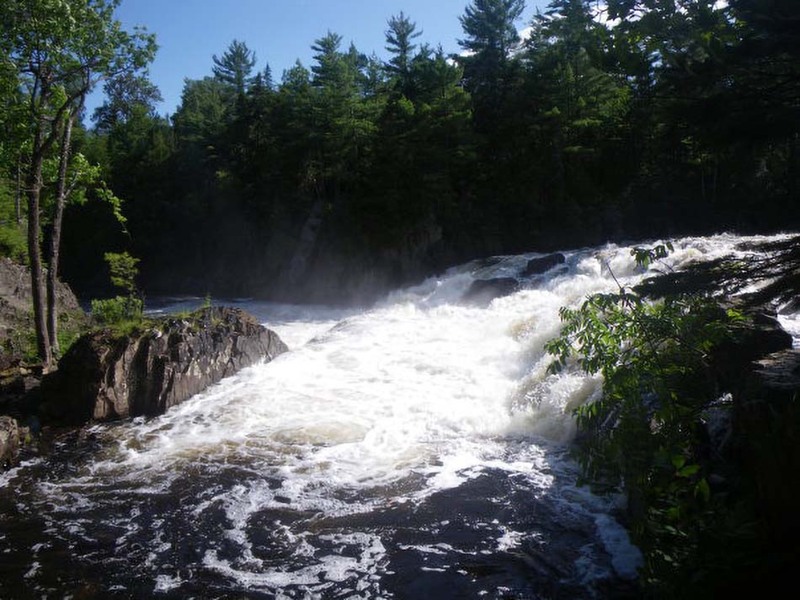 Rapids are encountered each day on this trip, beginning with the impressive, photo-worthy, and aptly named Stair Falls and culminating with Grindstone Falls, the largest rapid on the river that is nearly 2-miles in distance, from start to finish. 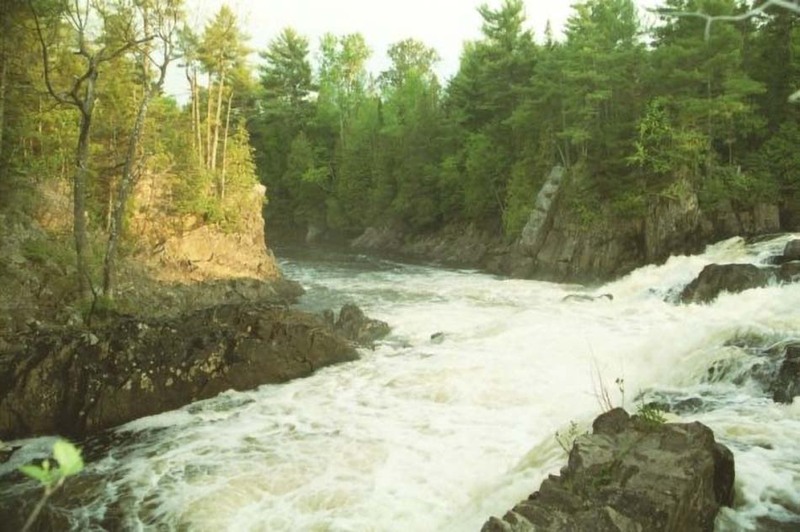 In between these rapids, there are many other rapids, Class I-II that will excite even the veteran paddler and require maneuvering and knowledge of canoeing. 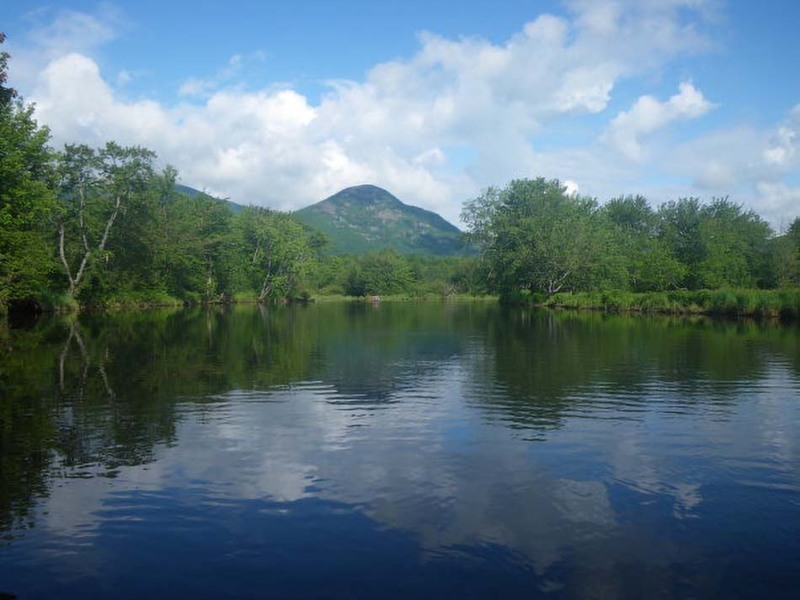 The scenic vistas on the East Branch of the Penobscot are some of the most impressive on any canoe trip available in the State of Maine. Soon after its outlet from Grand Lake Matagamon, paddlers are welcomed by sweeping, beautiful vistas of the Traveler Mountain range to the right. The stunning mountains appear to rise just off of the river, straight up, and are often cloaked in clouds and mist, lending itself to amazing photographs and beautiful scenery. Located in the heart of the famous Baxter State Park, the range features North and South Traveler, as well as Traveler Mountain (3,540’). 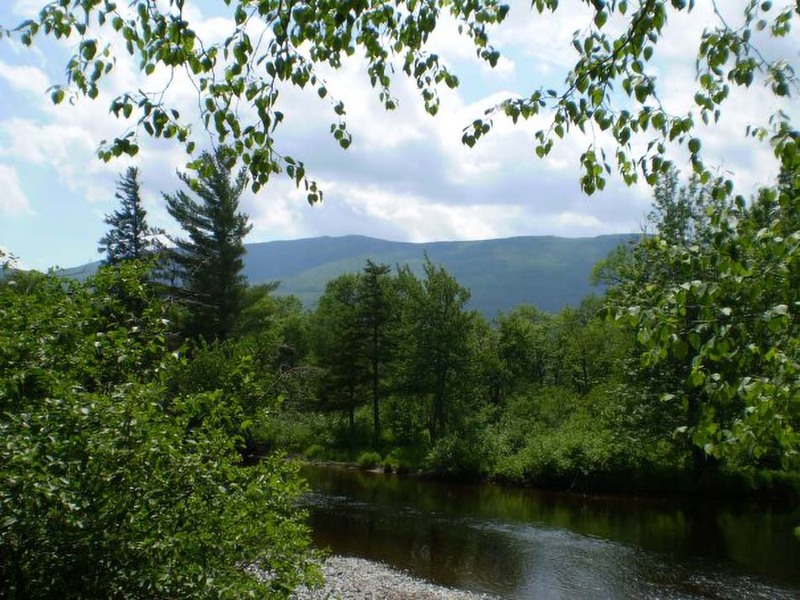 Interestingly, the name of the Traveler Range was derived by log drivers on the East Branch of the Penobscot; the Traveler Mountains appeared to move downstream with the lumberjacks, a phenomenon that will be experienced by paddlers on the river. 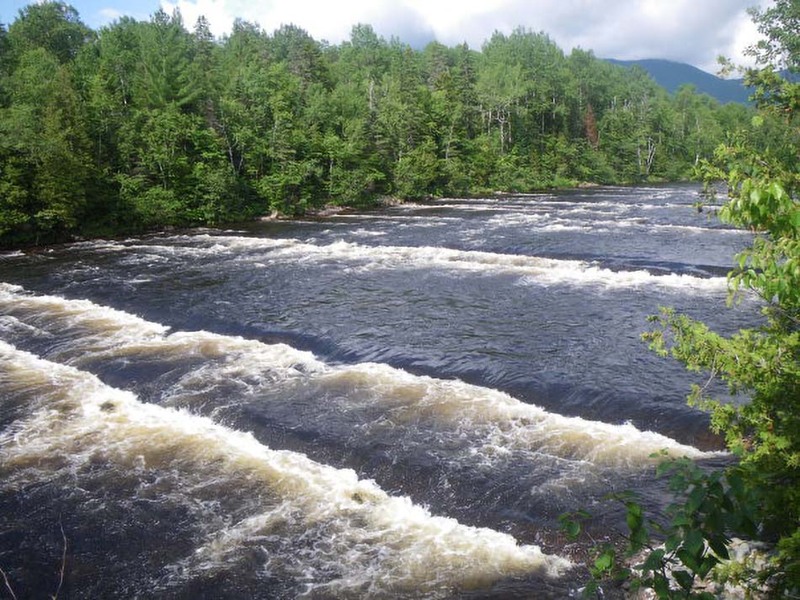 As with many excellent whitewater rivers, portaging is required on the East Branch of the Penobscot. Portaging, while sometimes arduous and time-consuming, can be, with a positive attitude, a very memorable part of any river trip. 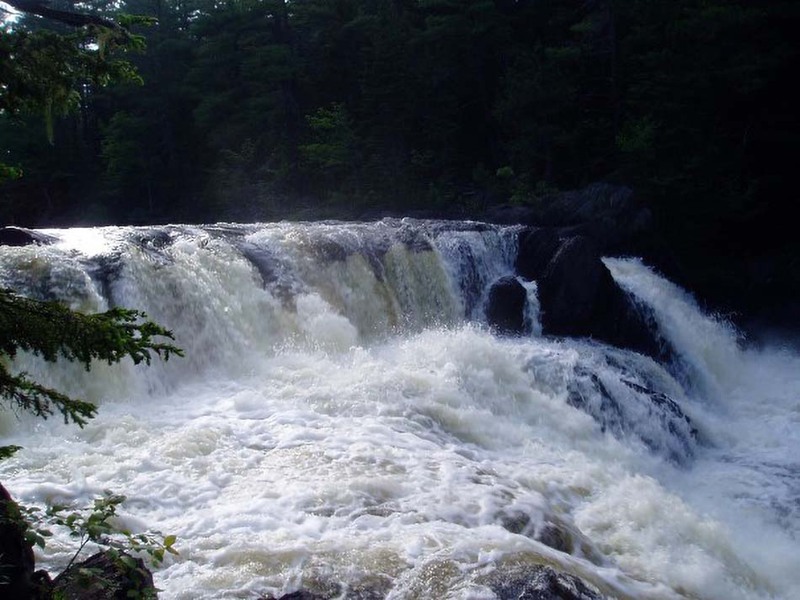 While on the East Branch of the Penobscot, we will be portaging around a number of significant waterfalls, all of which are very beautiful and stunning in their own way. Two of the most notable portages include Haskell Rock Pitch and Grand Pitch; Haskell Rock, named after a rock in the middle of a downstream torrent of water, is regarded around the world as a very unique geological feature and the 20’ pillar of stone is a very notable stop on any trip down the river. Further downstream, Grand Pitch is perhaps the most spectacular location on the river. Dropping over 40’, nearly vertically, Grand Pitch is an excellent opportunity for photos, swimming beneath the rapid, and observing the sheer power of the water as it tumbles over the precipice. 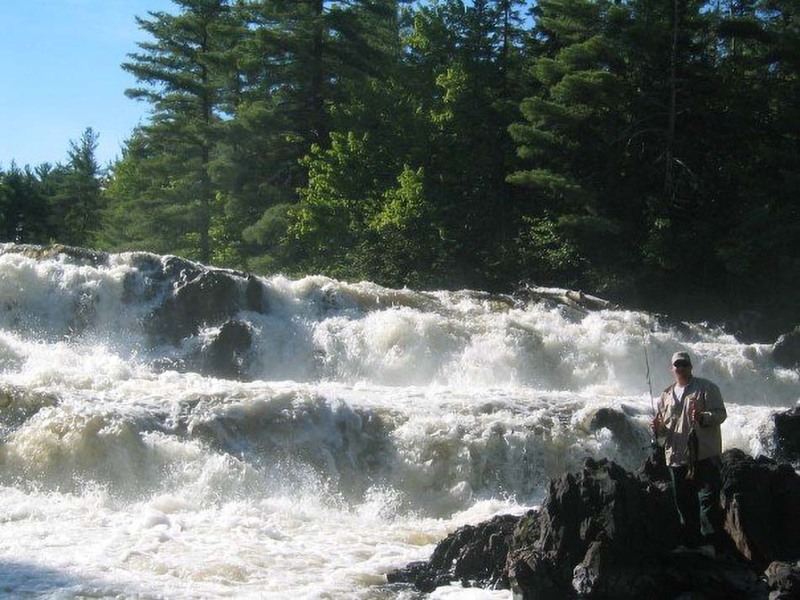 Besides the whitewater, sweeping vistas, and spectacular waterfalls, the East Branch of the Penobscot is also well renowned for its fishing, particularly for trout and salmon. As salmon and trout tend to pool up beneath the waterfalls, of which there are four significant waterfalls on the river, we encourage those interested in fishing to try their luck at these locations. It is not unheard of for an angler to catch their limit near these locations in a matter of minutes. In terms of a fishing/canoe-trip in the State of Maine, the East Branch of the Penobscot is easily one of the best options. 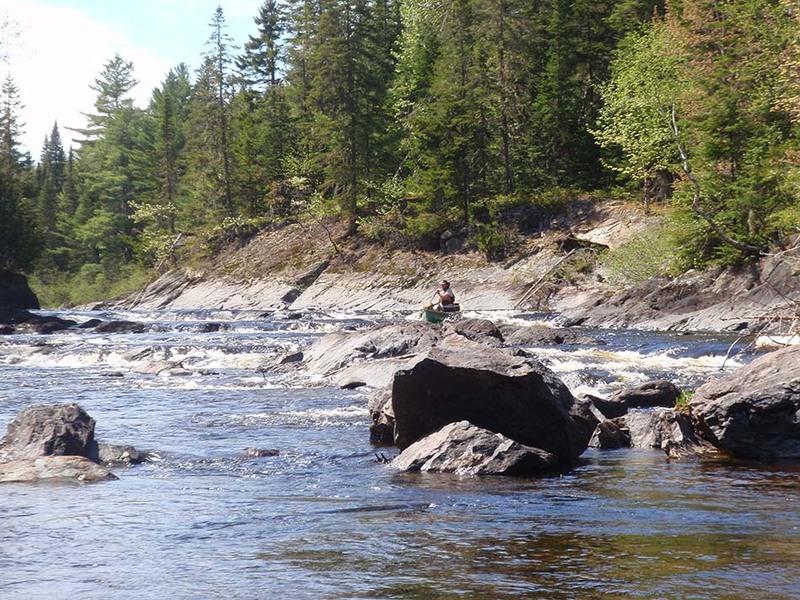 Anglers from far and wide consider the East Branch of the Penobscot as an outstanding trout and salmon fishery but due to its remote nature, it is extremely difficult to access the best locations. A multi-day canoe trip will allow anglers the opportunity to get into these locations and spend more time fishing the clear and remote waters. Our Registered Maine Guides will be happy to assist with advice and point to the best locations to cast a line. Beyond fishing, wildlife viewing also tends to be quite excellent on the East Branch of the Penobscot. Moose sightings are extremely common, particularly in the early morning and dusk hours and the lower portion of the river, where the river basin widens out and the current slows is particularly excellent to spot these massive creatures. Beavers, American Bald Eagle, Osprey, Ducks, and even the occasional bear are sometimes seen by paddlers who are quiet and observant. 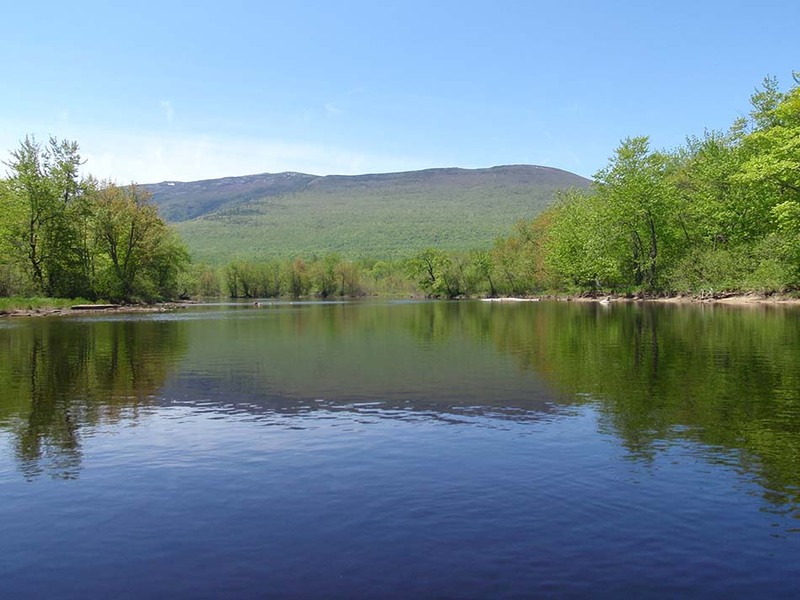 The East Branch of the Penobscot is the hallmark of one of the newest National Monuments in the United States, the Katahdin Woods and Water National Monument. Designated by President Obama in 2016, the National Monument encompasses over 87,000 acres of remote woodland, most of which is only accessible by foot or paddle traffic. 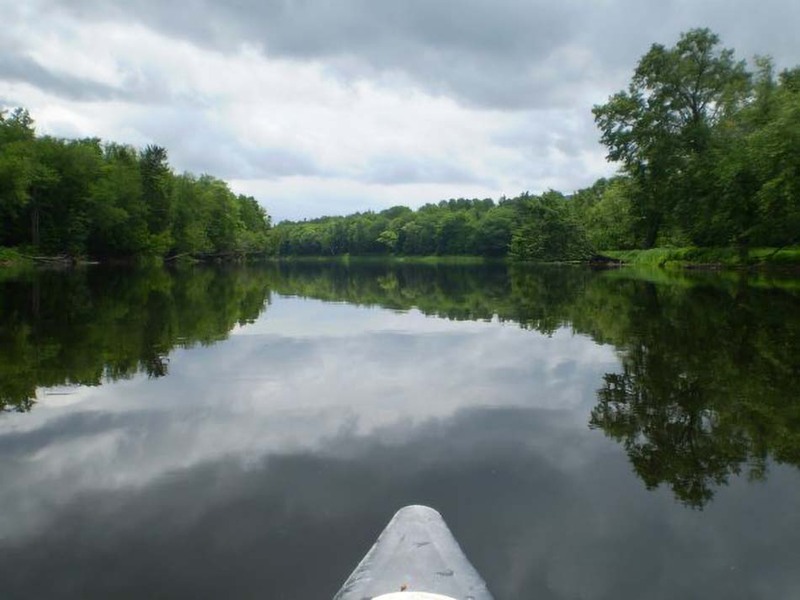 Paddlers on the East Branch of the Penobscot are able to truly experience this beautiful National Monument in a manner that just isn’t possible from the seat of a vehicle and few take the opportunity to paddle through in a canoe. The protection of this land as the Katahdin Woods and Waters National Monument is a culmination of many efforts and years by conservationists in the North Maine Woods. The land surrounding the East Branch of the Penobscot and within the Katahdin Woods and Waters National Monument traditionally has been used for timber harvesting for generations. In the 1800s, the East Branch of the Penobscot served as a vital link between the North Maine Woods and Bangor; with the construction of the famous Telos Cut in the early 1800s, logs harvested in the Allagash region could now be flowed southward towards Bangor, Maine instead of northwards towards Canadian towns and cities. 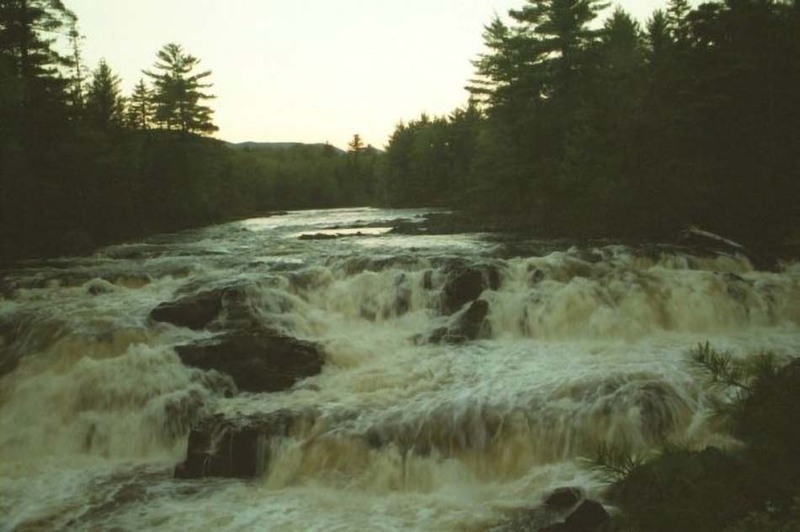 As a paddler on the East Branch of the Penobscot, it is impressive to imagine the effort and danger of floating logs downstream through rapids with names such as The Hulling Machine and Whetstone Falls. 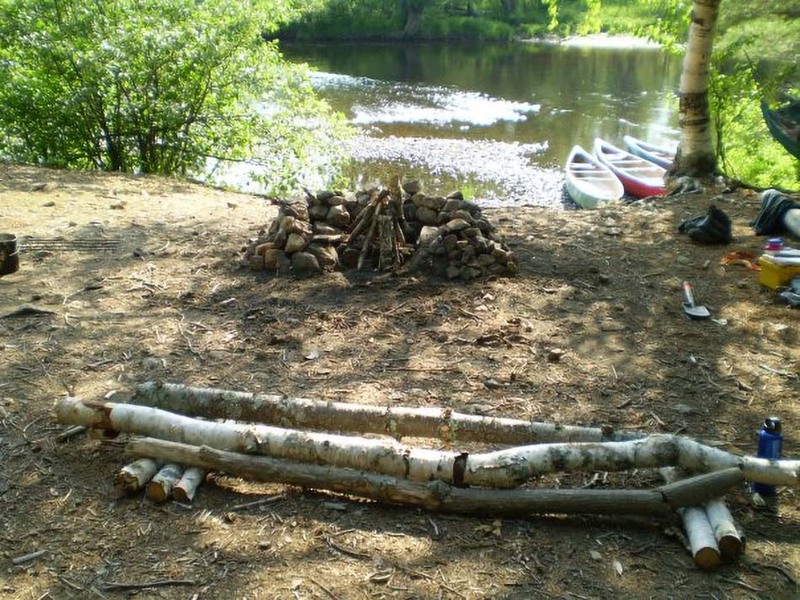 Of course, long before the lumberjacks made their mark on the river, the Penobscot people were plying the waters in their canoes for thousands of years. 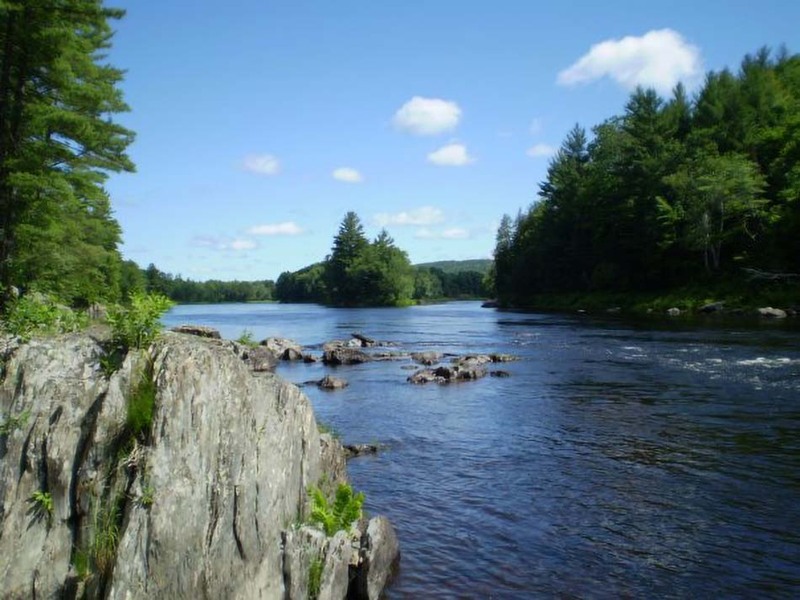 Human settlement on the river corridor has been observed up to 11,000 years in the past and even today, the river is considered sacred and important landmarks to the Penobscot and other Wabanaki Tribes. Extremely beautiful, rugged, remote and befitting of its part of the Katahdin Woods and Waters National Monument, the East Branch of the Penobscot is easily one of Smoking Rivers most challenging yet rewarding trips. We recommend that paddlers interested in this trip be physically fit as well as possessing moderate canoeing skills. Though rugged and demanding, with a positive attitude, paddlers will be treated to amazing views and vistas of the mountain ranges of Baxter State Park, excellent whitewater, numerous waterfalls, and some of the best fishing that can be found on a canoe trip. Numerous options exist for dates/length; for more information contact Smoking Rivers directly.